From what time you can play to how to get extra lives, we have all the information every player needs to win the cash in the live game show app. 1. What Is HQ Trivia? HQ Trivia is the live quiz game you can play on your phone. It launched in August 2017 and was developed by Vine creators Rus Yusupov and Colin Kroll. 2. How Does HQ Trivia Work? Each game consists of 12 multiple-choice triva questions, each with three options. Questions get harder as they game progresses and you only have ten seconds to select your answer. If you get an answer wrong, you are immediately knocked out of the game. Get through all 12 questions and you get to split the price money with all the other winners. 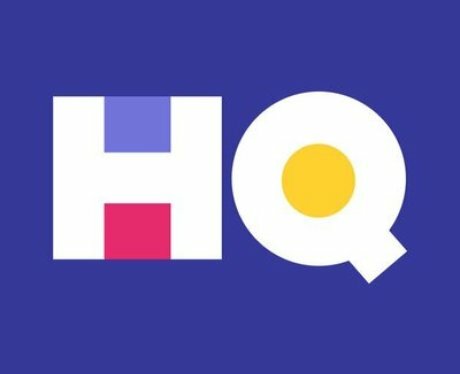 3. Who Are The Presenters of HQ Trivia? US shows are hosted by stand-up comic Scott Rogowsky while the UK broadcast is headed up by presenter Sharon Carpenter. Other hosts include Sarah Pribis and Casey Jost. 4. How Much Money Can I Win On HQ Trivia? Prize money for most games tends to be between $750 and $2500. This is then split among all the winners of that game with numbers varying depending on the amount of overall players. Special events have seen extra games take place with bigger prize pots, the Super Bowl Sunday edition featuring a prize of $20,000. 5. Where Do I Get The HQ Trivia App? The app is now available for free, worldwide, on both iOS and Android phones. Just check the App store or Google play store on your mobile. 7. How Do I Cheat At HQ Trivia? Lots of apps and bots have attempted to help people cheat while they play the game with varying degrees of success. Perhaps the most successful is website HQuack with Googles the questions as you play and finds the best possible answer before the 10 seconds is up. It is only about 80% accurate though and only appears to be linked with the US version of the app. 8. How Do I Get Extra Lives On HQ Trivia? By inviting your friends to download the app, you can receive extra lives that will keep you in the game even when you get a question wrong. Share your unique code in the 'Get More' section of the app to refer everyone you know and rack up the lives.